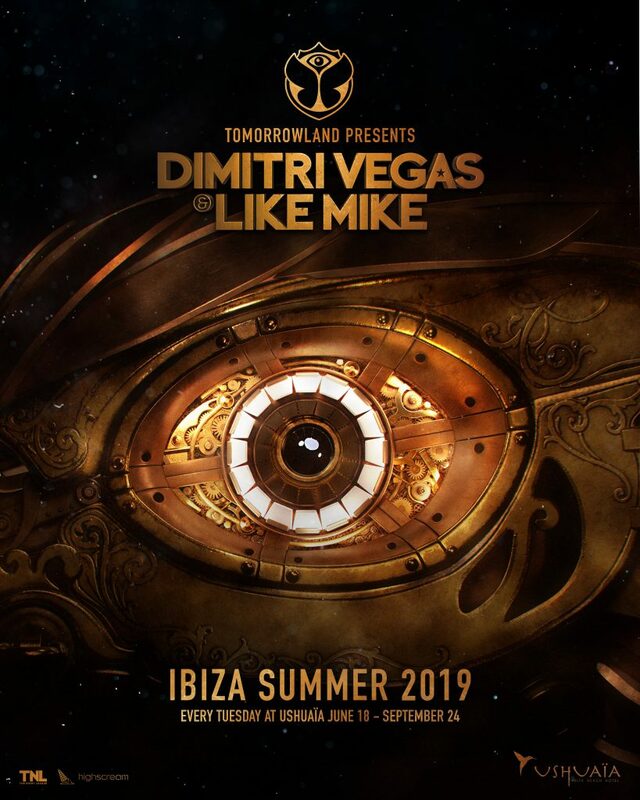 Ushuaïa Ibiza has revealed the first resident DJ act of 2019, confirming their successful partnership with ‘Tomorrowland presents Dimitri Vegas and Like Mike’ will continue for another year. 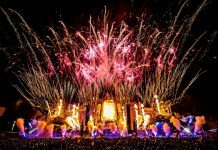 From June 18th to September 24th, holidaymakers can count on a ground-breaking production every Tuesday, as the open-air club transforms into a brand-new theme designed by Tomorrowland. 2019 will mark a new direction for the Tomorrowland residency at Ushuaïa Ibiza as the stage design is completely transformed and taken to a new level for the 15th anniversary of Tomorrowland this year. 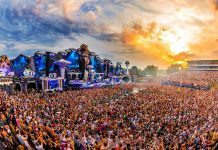 While all will be unveiled during the debut show on June 18th, a spokesperson from Tomorrowland revealed a small hint: “Tomorrowland proves that music is universal and joins people together regardless of their age, language or culture. The new theme is a symbol of this universal connection”. 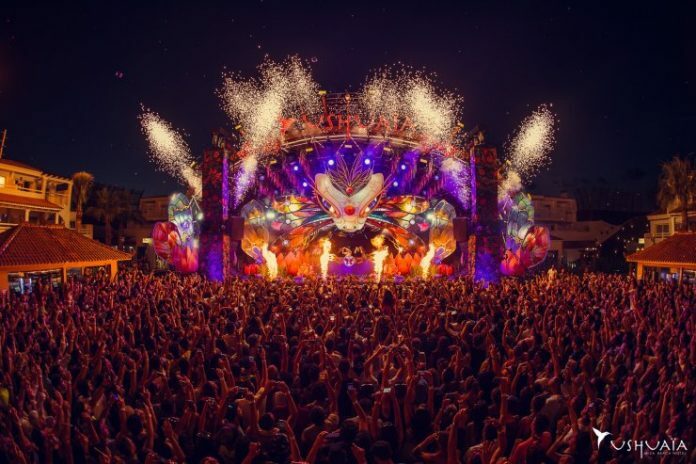 Ushuaïa Ibiza, Tomorrowland, and Dimitri Vegas & Like Mike, remain a collection of dance music’s most influential icons. The union began in 2017 and has since grown into one of Ibiza’s most-frequented parties. 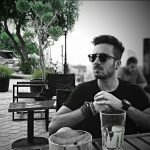 They’ve found the ultimate synergy, combining Tomorrowland‘s elaborate stage setups, with Ushuaïa‘s reputation for incredible daytime parties, all while showcasing of the most prominent acts in dance, Dimitri Vegas and Like Mike. The jewel in Ibiza’s party crown, Ushuaïa‘s dedication to bringing the most-sought after names to their world-famous stage ensures they remain one step ahead of the game every time. Based on the experiences gathered over the years, Ushuaïa Ibiza is dedicated to providing the best outdoor entertainment possible. The legendary poolside parties have been drawing in the crowds ever since the very beginning. The team behind the #1 Open Air Club raises the bar ever higher, with an impeccable lineup of superstar residents from across the electronic music spectrum playing from daytime to midnight. Not just content with packing their nights full of world class artists, Ushuaïa Ibiza constantly outdoes itself when it comes to phenomenal productions, with a different theme each night of the week.